Literally! 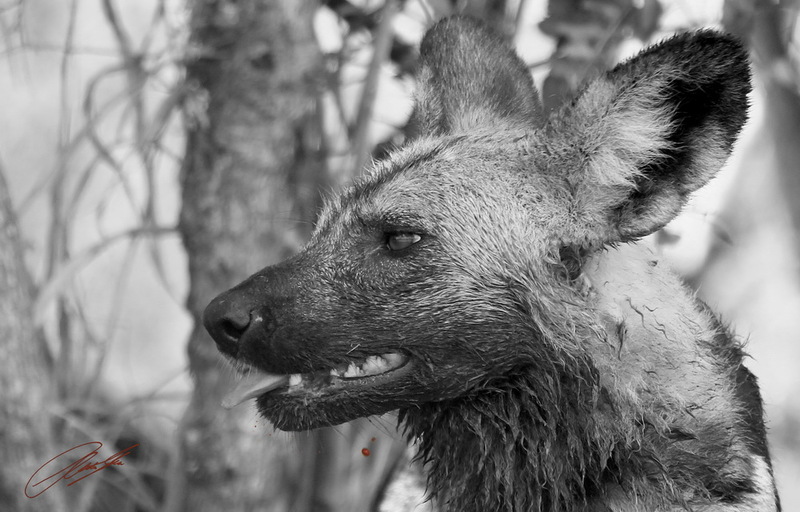 – This is a portrait of a Cape Hunting Dog which was taken when the pack was feeding on a kill. 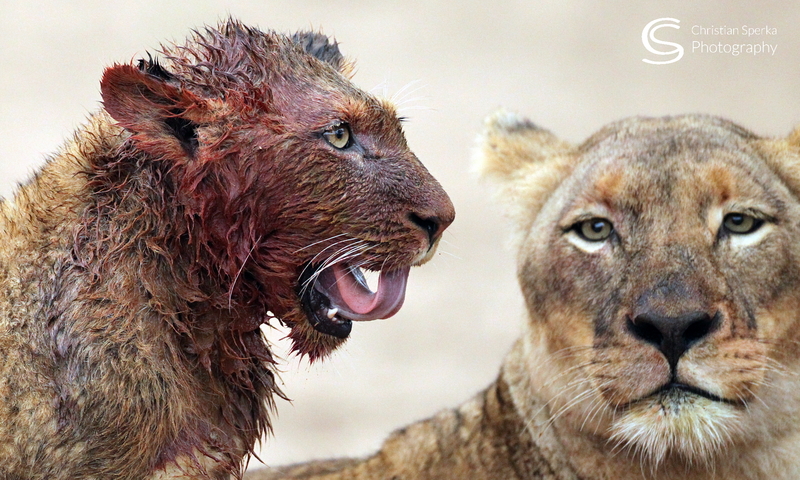 The face of the dog was still wet from the Wildebeest’s blood. As someone who loves African photography and has taken part of it (We used to live in Tanzania). It would be amazing to have a photographer like you as an author. Email wildlifehub@yahoo.com for more information and check out wildlifepic.wordpress.com, to see our shots of Tanzania visit our older postings. HAPPY BIRTHDAY!!!! Christian (for Wednesday) Have a Great One with a whole lot of fun. Is that a drop of blood under his chin? Thanks a lot! ….. and yes, that is a drop of blood!